Tokat Province is an epicenter for Crimean-Congo hemorrhagic fever virus (CCHFV) in Turkey. The aim of this study was to investigate the seroprevalence of Rickettsia conorii and to clarify the epidemiological similarities between CCHFV and R. conorii in Tokat Province. Materials and methods: The prevalence of antibodies reactive with R. conorii was examined by ELISA in 364 sera, 151 of which were seropositive for CCHFV. Results: The overall prevalence of antibodies reactive with R. conorii was 36.81%. The prevalence of antibodies to R. conorii infection was higher in humans who showed CCHFV seropositivity than seronegativity, 52.32% and 25.82%, respectively (P = 0.001). A significant difference in seroprevalence was found between groups who had a history of tick bite and who did not, 41.52% and 29.29%, respectively (P = 0.019). Conclusion: Our data show that people who are a risk group for CCHFV are likely to be a risk group for R. conorii. Parola P, Paddock CD, Raoult D. Tick-borne rickettsioses around the world: emerging diseases challenging old concepts. Clin Microbiol Rev 2005; 18: 719-56. 2. Parola P and Raould D. Tick and tickborne bacterial diseases in humans: An emerging infectious threat. Clin Infect Dis 2001; 32: 897-928. Buckingham SC. Tick-borne infections in children. Pediatr Drugs 2005; 7: 163-176. Keysary A, Strenger C. Use of enzyme-linked immunosorbent assay techniques with cross-reacting human sera in diagnosis of murine typhus and spotted fever. J Clin Microbiol 1997; 35: 1034-5. La Scola B, Raoult D. Laboratory diagnosis of rickettsioses: current approaches to diagnosis of old and new rickettsial diseases. J Clin Microbiol 1997; 35: 2715-27. 6. Aydin L, Bakirci S. Geographical distribution of ticks in Turkey. Parasitol Res 2007; 101: 63-66. Kuloglu F, Rolain JM, Fournier PE, Akata F, Tugrul M, Raoult D. First isolation of Rickettsia conorii from human in the Trakya region (European part) of Turkey. Eur J Clin Microbiol Infect Dis 2004; 23: 609-14. Vural T, Ergin C, Sayin F. Investigation of Rickettsia conorii antibodies in the Antalya area. Infection 1998; 26: 170-72. Vatansever Z, Uzun R, Estrada-Pena A, Ergonul O. Crimean- Congo hemorrhagic fever in Turkey. In: Ergonul O, Whitehouse CA, eds. Crimean-Congo hemorrhagic fever: a global perspective. Amsterdam: Springer; 2007. Gunes T, Engin A, Poyraz O, Elaldi N, Kaya S, Dokmetas I et al. Crimean-Congo hemorrhagic fever virus in high-risk population, Turkey. Emerg Infect Dis 2009; 15: 461-4. Gunes T. Crimean-Congo Hemorrhagic Fever. Mikrobiyol Bul 2006; 40: 279-87. Karaer F, Kılınç M, Kutbay HG. Th e woody vegetation of Kelkit Valley. Tr J of Botany 1999; 23: 319-44. Raoult D, Dupont HT, Chicheportiche C, Peter O, Gilot B, Drancourt M. Mediterranean spotted fever in Marseille, France: correlation between prevalence of hospitalized patients, seroepidemiology, and prevalence of infected ticks in three diff erent areas. Am J Trop Med Hyg 1993; 48: 249-56. Aharonowitz G, Koton S, Segal S, Anis E, Green MS. Epidemiological characteristics of spotted fever in Israel over 26 years. Clin Infect Dis 1999; 29: 1321-2. Raoult D, Weiller PJ, Chagnon A, Chaudet H, Gallais H, Casanova P. Mediterranean spotted fever: clinical, laboratory and epidemiological features of 199 cases. Am J Trop Med Hyg 1986; 35: 845-50. Sousa R, Nobrega SD, Bacellar F, Torgal J. Mediterranean spotted fever in Portugal: risk factors for fatal outcome in 105 hospitalized patients. Ann N Y Acad Sci 2003; 990: 285-94. Punda-Polic V, Luksic B, Capkun V. Epidemiological features of Mediterranean spotted fever, murine typhus, and Q fever in Split-Dalmatia County (Croatia), 1982-2002. Epidemiol Infect 2008; 136: 972-9. Meskini M, Beati L, Benslimane A, Raoult D. Seroepidemiology of rickettsial infections in Morocco. Eur J Epidemiol 1995; 11: 655-60. Daniel SA, Manika K, Arvanmdou M, Antoniadis A. Prevalence of Rickettsia conorii and Rickettsia typhi infections in the population of northern Greece. Am J Trop Med Hyg 2002; 66: 76-9.
antibodies to spotted fever group rickettsiae in the region of Split (southern Croatia). Eur J Epidemiol 2003; 18: 451-5. Babalis T, Dupont HT, Tselentis Y, Chatzichristodoulou C, Raoult D. Rickettsia conorii in Greece: comparison of a microimmunofl uorescence assay and western blotting for seroepidemiology. Am J Trop Med Hyg 1993; 48: 784-92. Harrus S, Lior Y, Ephros M, Grisaru-Soen G, Keysary A, Strenger C et al. Rickettsia conorii in humans and dogs: a seroepidemiologic survey of two rural villages in Israel. Am J Trop Med Hyg 2007; 77: 133-5. Mansueto S, Vitale G, Bentivegna M, Tringali G, Di Leo R. Persistence of antibodies to Rickettsia conorii aft er an acute attack of boutonneuse fever. J Infect Dis 1985; 151: 377. Guberman D, Mumcuoglu KY, Keysary A, Ioff e-Uspensky I, Miller J, Galun R. Prevalence of spotted fever group rickettsiae in ticks from southern Israel. J Med Entomol 1996; 33: 979-82. Psaroulaki A, Loukaidis F, Hadjichristodoulou C, Tselentis Y. Detection and identifi cation of the aetiological agent of Mediterranean spotted fever (MSF) in two genera of ticks in Cyprus. Trans R Soc Trop Med Hyg 1999; 93: 597-8. Tonbak S, Aktas M, Altay K, Azkur AK, Kalkan A, Bolat Y et al. Crimean-Congo Hemorrhagic Fever Virus: genetic analysis and tick survey in Turkey. J Clin Microbiol 2006; 44: 4120-4. ISNAD GÜNEŞ, Turabi , POYRAZ, Ömer , -, Mehmet ATAŞ , TURGUT, Nergiz Hacer . "The seroprevalence of Rickettsia conorii in humans living in villages of Tokat Province in Turkey, where Crimean-Congo hemorrhagic fever virus is endemic, and epidemiological similarities of both infectious agents". 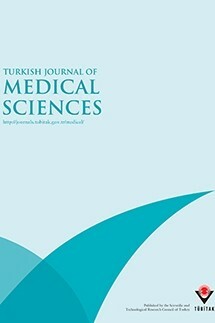 Turkish Journal of Medical Sciences 42 / 3 (March 2012): 441-448.